to network, learn, and explore the world of enforcement. state-of-the-art solutions for safer roads. Our speed trailers, variable message signs, and rotating speed messaging signs are used by police departments across the world. 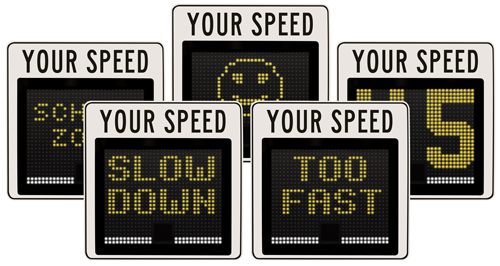 messages, we have what you need to stop speeders and protect your streets.